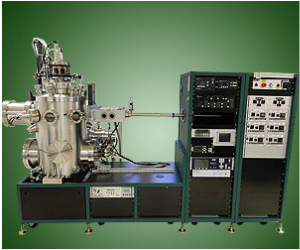 AJA International ATC-E (E-Beam Evaporation) and ATC-T (Thermal Evaporation) Systems are highly evolved HV and UHV coating tools designed for R&D scale thin film deposition. 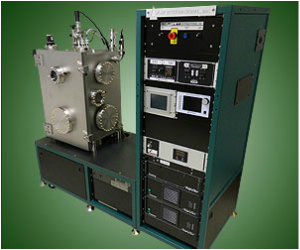 These systems feature load-locks, ion milling / ion assist sources, heated/cooled substrate holders, QCM deposition control / computer control, and AJA's unique water cooled, 300 Amp thermal deposition sources. Thermal Evaporation is one of the simplest of the Physical Vapor Deposition (PVD) techniques. Basically, material is heated in a vacuum chamber until its surface atoms have sufficient energy to leave the surface. At this point they will traverse the vacuum chamber, at thermal energy (less than 1 eV), and coat a substrate positioned above the evaporating material (average working distances are 200 mm to 1 meter). Read more. What is Electron Beam (E-Beam) Evaporation? E-Beam evaporation is a physical vapor deposition (PVD) technique whereby an intense, electron beam is generated from a filament and steered via electric and magnetic fields to strike source material (e.g. pellets of Au) and vaporize it within a vacuum environment. At some point as the source material is heated via this energy transfer its surface atoms will have sufficient energy to leave the surface. At this point they will traverse the vacuum chamber, at thermal energy (less than 1 eV), and can be used to coat a substrate positioned above the evaporating material. Average working distances are 300 mm to 1 meter. Read more.